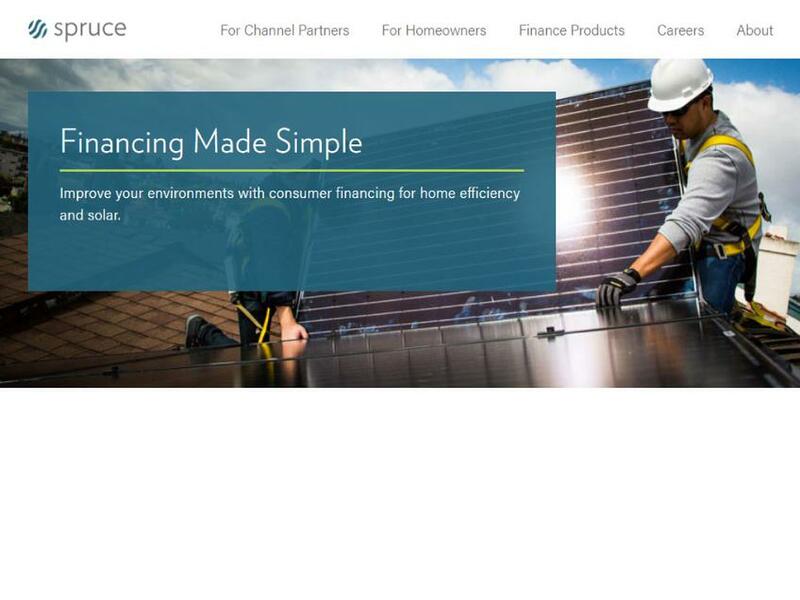 Improve your environments with consumer financing for home efficiency and solar. Spruce's mission is to empower consumers to improve their environments. We provide homeowners with simple, affordable financing for residential solar systems, water conservation upgrades and energy efficiency home improvements. Working with a national network of channel and contractor partners in 50 states, we help homeowners reduce their total utility spend on power, water, and heating and cooling.